Category: Biography & Autobiography Tags: aleister crowley, occupy master, prophetic, psychology, romantic, spiritual, spirituality. Tobias Churton’s biography of Aleister Crowley (1875–1947), the most notorious and controversial spiritual figure of the 20th century, brings together a life of world-shaking ‘magick’, sexual and psychological experimentation at the outer limits, world-record-beating mountaineering and startling prophetic power – as well as poetry, adventure, espionage, wisdom, excess, and intellectual brilliance. The book reveals the man behind the appalling reputation, demolishing a century of scandalmongering that persuaded the world that Crowley was a black magician, a traitor and a sexual wastrel, addicted to drugs and antisocial posing, rather than the mind-blowing truth that Crowley was a genius as significant as Jung, Freud or Einstein. Churton has enjoyed the full co-operation of the world’s Crowley scholars to ensure the accuracy and plausibility of his riveting narrative. The author has also been in contact with Crowley’s grandson, who has vouchsafed rare, previously untold accounts of family relationships. The result is an intimate portrait that has never before been shown, and one that has great emotional impact. 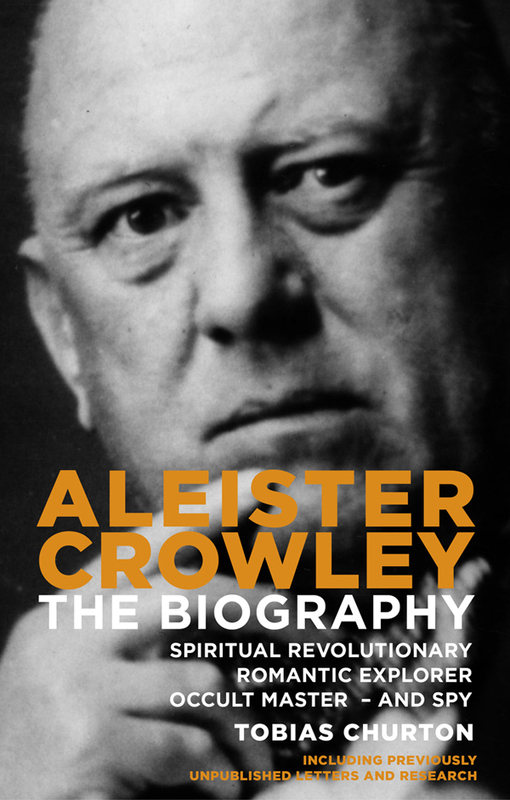 The book contains the first ever complete investigation of Crowley’s astonishing family background – including facts he concealed in his lifetime for fear of social prejudice. Tobias Churton also gives us a detailed account of Crowley’s work as a British spy during World War I in Berlin during the early 1930s and during World War II. This information has not been available to any previous biographer. Tobias Churton holds a Master’s degree in Theology from Brasenose College, Oxford, he is an Honorary Fellow of Exeter University and Faculty Lecturer in Western Esotericism.